The PS Vita’s price reduction in Japan is having a big affect on sales of the console. 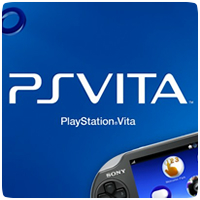 Speaking during a presentation in Japan, Hiroshi Kawano, President of Sony Computer Entertainment Japan, stated that Playstation Vita sales had increased almost four times compared with unit sales two weeks ago. The PS Vita recently sold 40,000 units based on recent Media Create figures, compared to just 11,000 units a few weeks ago. The price cut also coincides with two Japanese centric titles, which may have also help boost the console’s sales. If the price cut continues to show success in Japan, we’ll likely see a cut in North America and Europe too.